These are by far the most comfortable piece of gear I’ve brought to use for training, and not just in terms of boxing gloves. 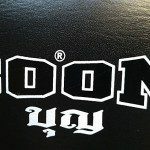 If you’re looking for an all-around great glove, then you should definitely pick up a pair of Boon’s and give them a try as you definitely won’t be disappointed. 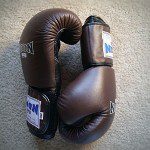 They work well as either a bag glove, for pad work, or sparring with enough padding and wrist support to keep you hitting for days. I have received numerous compliments about these gloves by others who have tried them on and I’m sure you will too if you give them a try. 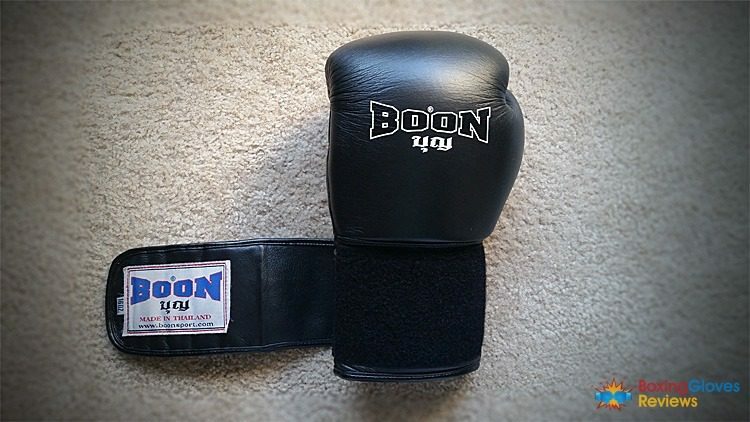 Boon is one of Thailand’s fastest growing combat sport brands. 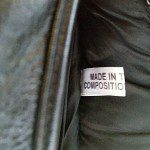 This little known Thai company is something of a rarity here in the United States, but they have quite the reputation when it comes to making affordable, quality, “less flashy” gear which gets the job done and withstands the rigors of training in the hot Thai heat. 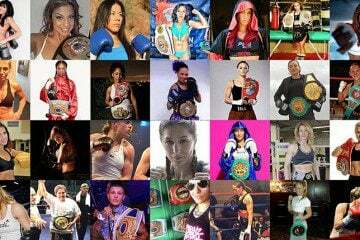 They are a provider of shin guards, Thai shorts, focus mits, belly pads, and headgear. Their most sought after piece of gear are definitely their Muay Thai Velcro boxing gloves though. 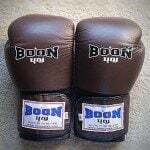 All Boon gloves are handcrafted and made to order in Thailand straight from the Boon plant. The downside to ordering these gloves online is that the wait time can be up to weeks depending on where you order them, which is why they are in such high demand. They are definitely worth the wait though. 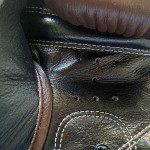 As the Boon site explicitly states, “all leathers are top-grain cowhide.” This is definitely not an understatement. When I first unwrapped these gloves, I was hit with a distinct “leathery” smell which automatically I knew something was special about these gloves. They also include 3 layer foam which offers solid protection around the knuckles and back of the hand for blocking kicks. 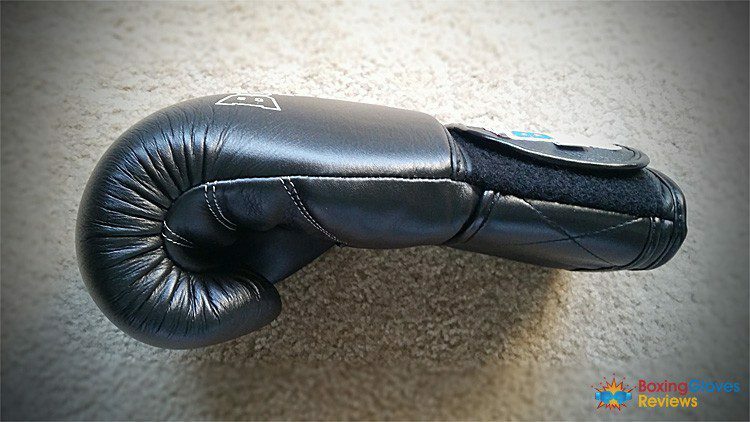 These gloves are often compared to Western style boxing gloves in terms of their ergonomics. 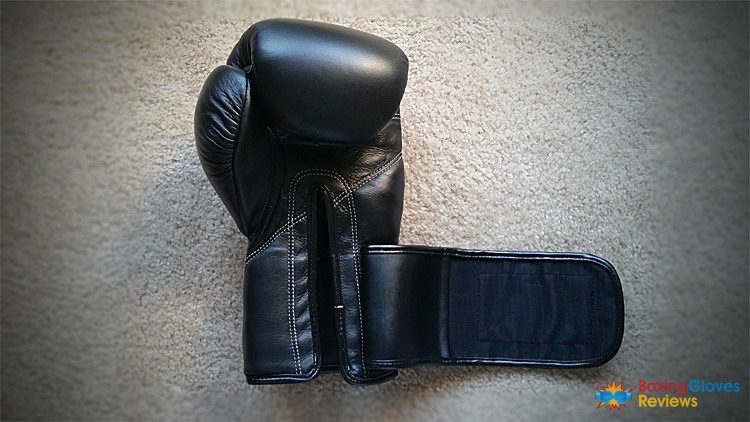 The padding is generally a little stiffer, but they still make great sparring gloves in the 16 oz variant, despite feeling lighter. The smaller variants are also great for hitting the bag, which is where these gloves really excel. 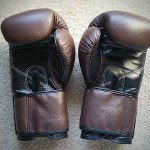 Unlike other Thai brands such as Twins or Top King, these gloves feel more streamlined and less “pillowy” or top heavy. They are a very “balanced glove” in terms of padding dispersion. You really feel like the glove is an extension of your entire forearm instead of a boxing glove. This is great if you’re trying to work your defense and not rely as much on the gloves for protection or defensive blocks. Being so light weight, these make great gloves for pad work or hitting the bag because they provide good feedback and aren’t as springy as some brands. 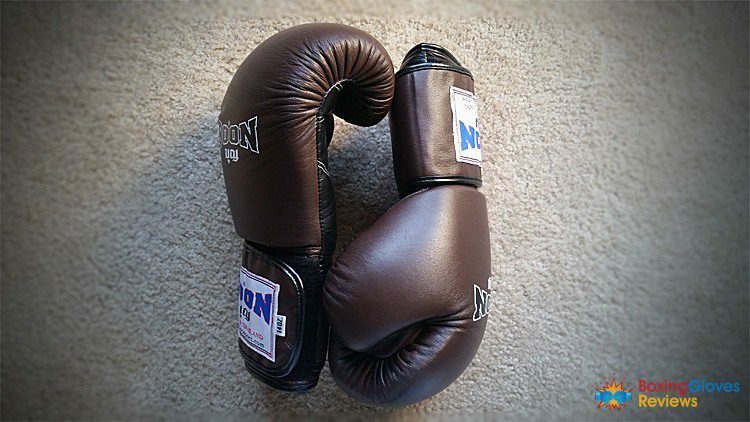 The design of these gloves also makes them great for not just Muay Thai, but western boxing and MMA. 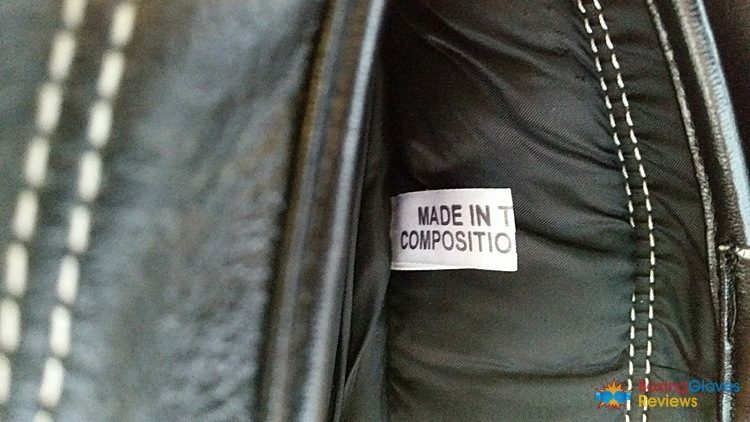 These feature a thumb which is attached by a single piece of leather to the rest of the glove. Opening up your hand for pats, parrys, blocks, and grabbing the back of the head isn’t a problem at all. And for MMA practice, these are good for allowing takedowns and clinching. 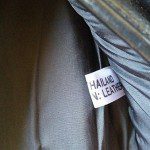 The grip bar within these gloves is also not too big or too small either and is made of a soft leather which stretches across the entire width of the palm. Another added benefit of these gloves is how cool they stay. Each glove features 7 holes directly under the grip bar of the palm. I’m sure the training conditions in Thailand had some factor in the design of these gloves and how cool they stay after long practices. The interior is lined with soft materials which again are probably a factor in how cool they stay. 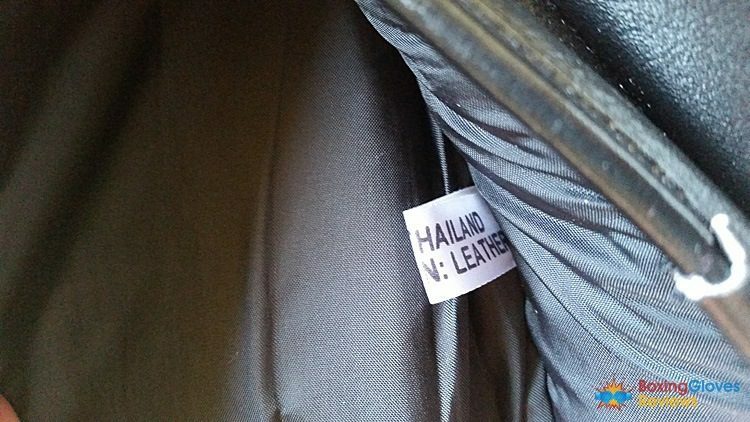 Like most Thai brands, when you first purchase them, they do fit very snug though. Not as snug as Top King, but they will take a few sessions to break in. Once they do, they conform to your hands and form a perfect fit. 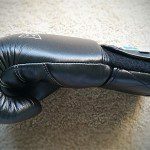 They are on the tighter side of Muay Thai gloves, but many see this as a benefit. Where these gloves really shine though is in their wrist protection and is something that puts these gloves above Fairtex and Top Kings for me. A very large velcro strap extends almost all the way down your forearm when you put these gloves on, locking your fist and forearms in place. The Velcro itself is very sturdy and would last a long time after taking a beating. No issues with the glove moving around during training were seen either. 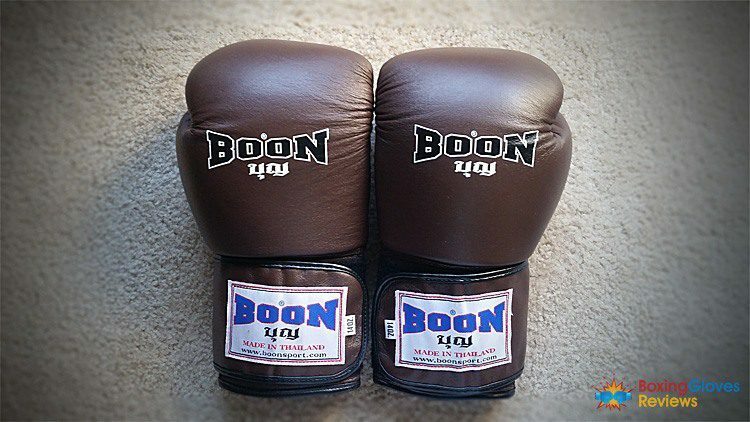 There had been some complaints in the past that quality control at Boon was an issue, but those issues seem to have since been worked out and I’ve seen nothing but praise for these gloves, myself included. 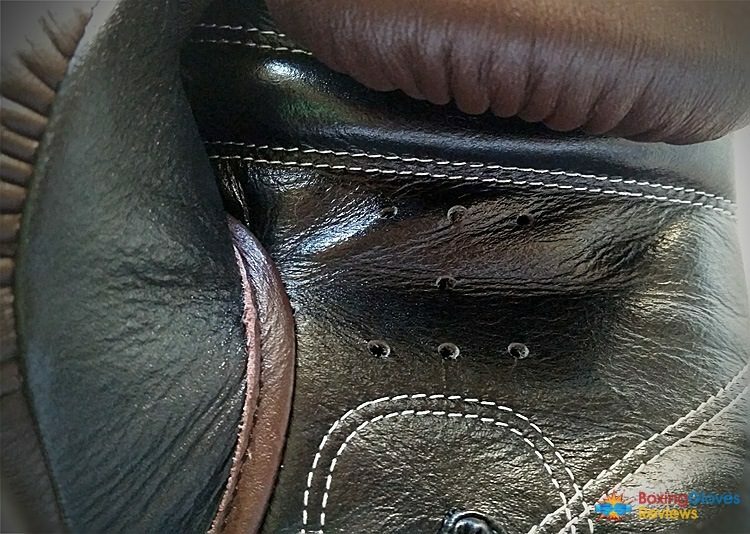 Stitching is very well done, frayed edges or uneven stitching was not apparent, and the padding seems to hold up well. There is some movement on the padding at the back of the palm, but these gloves can definitely take a beating and show little wear and tear. I would, however, suggest using the gloves for either padwork/bagwork or sparring, not both together. 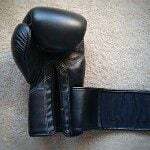 The padding in these gloves would not seem to hold up over an extended period of time to punching the bag and then hard sparring. That’s not to say they bottom out easily, but it could always be an issue and is why you should have a separate pair of training gloves for the bag/pads than sparring. As stated before, these gloves are “less flashy” and take a minimalistic approach. 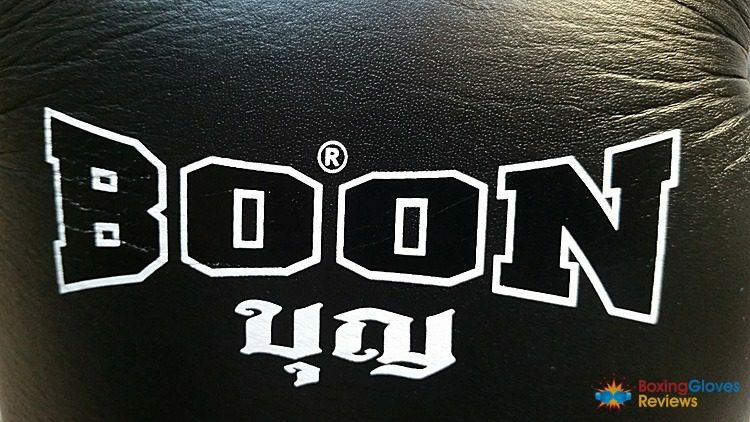 Boon is known for their chocolaty classic brown, but you really can’t go wrong with any of their colors. The colors do not bleed at all and the logo doesn’t experience any peeling. Their newly designed logo brings a nice old school look to the gloves. The Thai logo and patch on the velcro strap adds an old school element to these gloves as well. These gloves come in solid black, red, blue, white, pink, or brown or a two tone with white on the palm. The brown is a Boon best seller though and worth checking out. Some may dislike the “plainness” of the glove while others will love it. 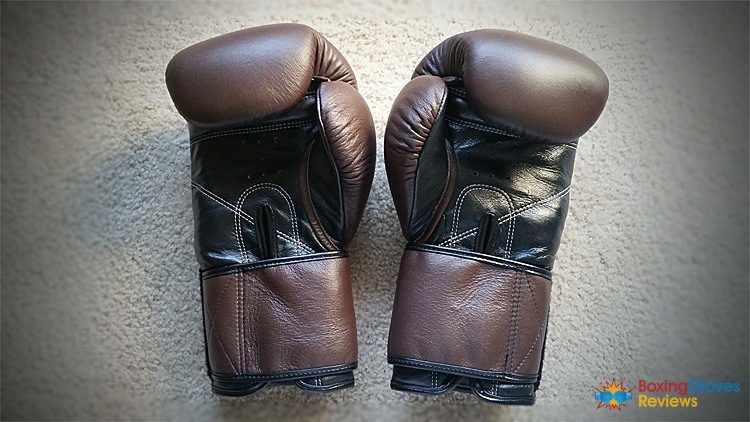 These gloves average around $55-60 for a pair which is a great price, but when you add in the shipping cost from Thailand, they can cost anywhere from $85-90 which is still a very good deal for a pair of high quality gloves which will last. The only issue with these gloves is getting your hand on a pair and the ship times. Amazon.com seems to have them for a bit more, but the delivery times and shipping costs do appear much lower and better compared to some of the Thai sites offering these gloves. Already own Boon Velcro Gloves? Write a review bellow. 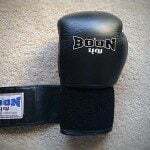 Comment from discussion Boon Velcro Gloves Review – Boxing Gloves Reviews. I have been practicing Brazilian Jiu Jitsu, Muay Thai, Boxing, Wrestling, Judo, and Mixed Martial Arts since 2010 and competed heavily since then. During that timeframe, I’ve trained full time under several different schools to include Royce Gracie Brazilian Jiu Jitsu where I received my blue belt in 2010, CSW (Combat Submission Wrestling), Gracie Barra where I progressed as a blue belt, and currently First Coast Full Contact (aka Riot MMA) here in Jacksonville, FL which is an MMA and submission wrestling competition based school. In addition, I also hold a Brown Belt in the Marine Corps Martial Arts program and hold a Bachelors in Criminal Justice from the University of North Florida and a Masters in Public Administration from Penn State. In my spare time I enjoy traveling to and training at other schools to continually sharpen my skills.